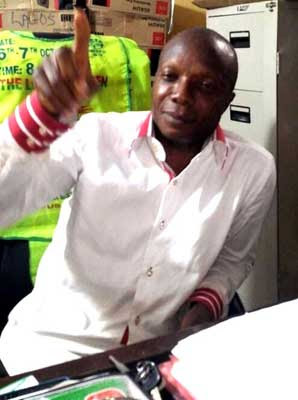 Unknown gunmen on Monday June 22 shot dead the Lagos state Coordinator of The Lord’s Chosen Charis-matic Revival Ministries, Pastor Chukwuemeka Okpokpo, at Apple Junction, Amuwo Odofin area of the state. According to a report by Vanguard, the gunmen, in a motorcycle, trailed the pastor from a bank where he had gone to withdraw N3million for the church, fired shots into the air, which sent people scampering for safety. Witnesses said Pastor Okpokpo tried to escape when it became obvious that he was the target. He reportedly slowed down on reaching a bad spot in the road, and that was when the hoodlums shot at the tyres of the Chosen vehicle he was driving, which caused the car to stop. One of the gunmen then got down from their motorbike, walked to the vehicle and shot Pastor Okpokpo in the stomach. He was said to have waited to ensure that Okpokpo was no longer breathing before he took the nylon bag containing the money, went back to his two colleagues in the motorbike and they all took off. Residents were said to have rushed to the scene then raised an alarm when they found out that the victim was wearing the Lord’s Chosen reflective jacket. Some of them were said to have alerted members of the church, who rushed him to the church’s clinic at Ijesha. When news of the tragedy filtered in, those who knew him wept uncontrollably. It was learnt that a prayer session aimed at resurrecting him reportedly took place between 12.30p.m. and 8p.m. Some of the church members thought that the gunmen could have been hired assassins and not robbers. The Lagos State Police Command said it had begun investigation into the murder.